R ecently, during a business trip to Thiruvalla in Kerala, I visited an orphanage, which is a house of some 300 children. The kids were of different ages spanning from newborn to teenage. One thing was common among these children, they all were suffering from rare diseases. To my surprise caretaker was not even aware that these are genetic disorders and many of them can be cured or managed. We tried to explain her but she was resistant to accept it. Instead, they feel that these kids are supposedly cursed and that’s why families leave them in God’s hand. I am sure many of them die due to lack of timely medical help. It is estimated that approximately 350 million people worldwide suffer from rare diseases out of which 70 million patients are from India. Many developed countries are far more prepared to deal with rare disease patients but the scenario in developing countries is very different. Expensive medical treatments, poor awareness and the absence of a national rare disease policy adds to the burden. During my research at Strand Life Sciences, I came across Mr. Prassanna Shirol, founder of Organization For Rare Diseases India (ORDI), whose only daughter was suffering from Pompe disease. He was struggling to get vital medical support for her. During the course, he realized that there are many more patients suffering from such misery. That’s when he founded ORDI, which aims to create awareness for Rare disease patients. 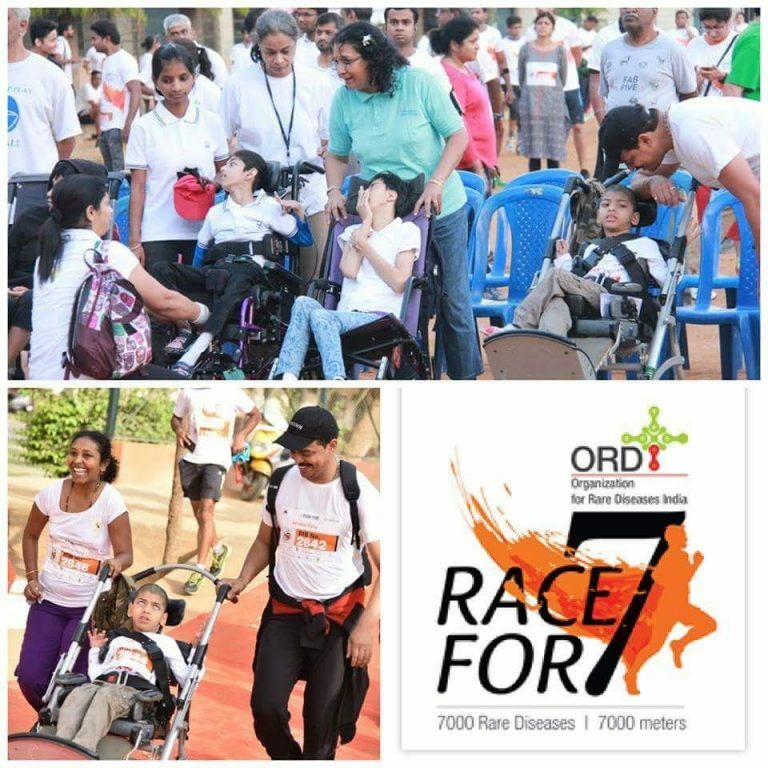 They organize various meetups and fund-raising events like Racefor7 to support the patients and family. Last year, I got to meet another brave father, Mr. R. S. Anand, whose only son is fighting against Duchenne muscular dystrophy (DMD). DMD is a severe progressive X-linked muscular dystrophy of males marked by early childhood onset. It affects mainly male children and most of them become wheelchair dependent by age of 8. Due to lack of any support, he started connecting with other patient’s suffering with DMD. 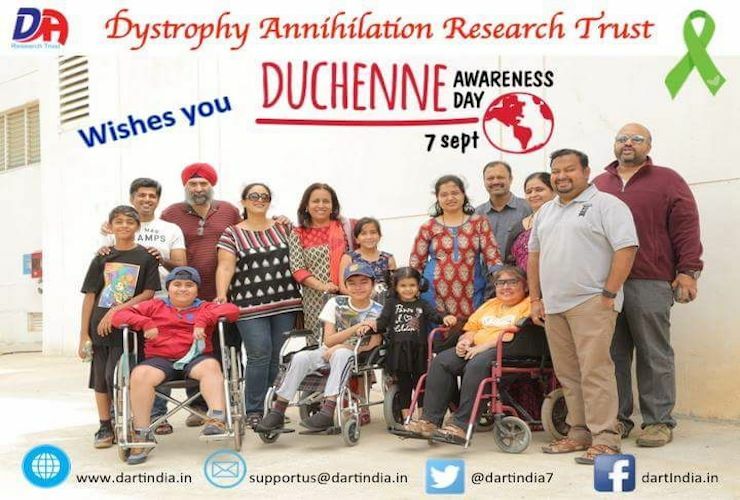 He founded Dystrophy Annihilation Research Trust [DART], India’s first research lab focusing on DMD. Like any other lab, DART needs funds to support the research. So far it was a parent-funded organization, but that’s not enough. 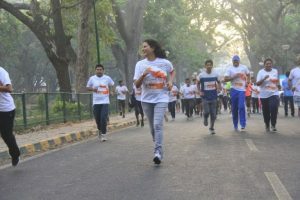 They are also organizing a few fund-raising activities, one such upcoming event is #runforthosewhocant on 24th September. I salute these real-life heroes and their undying spirit to fight for their children and at the same time helping many more parents. We also have a responsibility to support such mission. Each one of us can make a difference by standing for the cause and creating the awareness so that no more kids are left on the stairs of the orphanage. They also deserve a better and respectable life! 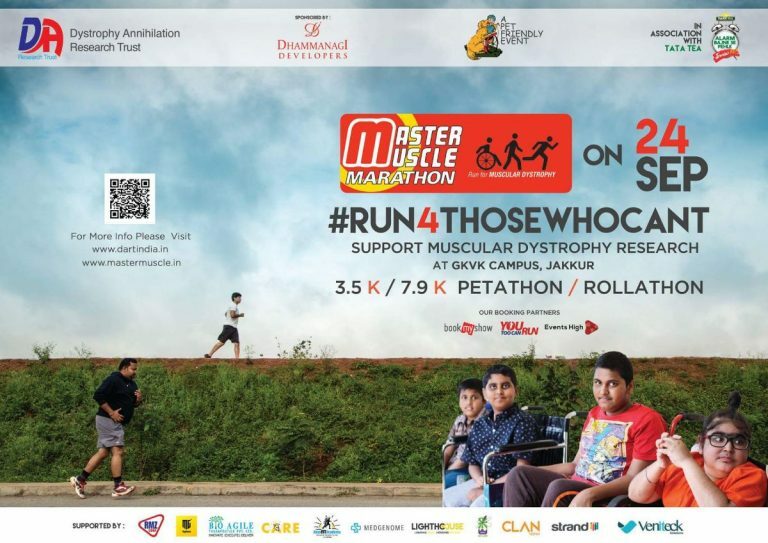 To take part in the “Run for those who cant” on 24th SEP 2017, please register. Help DART find the cure and spread awareness, please donate.